KABUL -- The Taliban's assassination of Gen. Abdul Raziq, the provincial police chief of Kandahar, was a cowardly, un-Islamic act against a patriot who had stood firm against the militants, say military analysts and observers. Raziq and two others were killed in Kandahar Province on October 18 after a meeting with provincial officials and US Army Gen. Scott Miller, the commander of NATO-led Resolute Support Mission forces. Afghans from all walks of life, including former Taliban officials, condemned Raziq's assassination. Mawlawi Jalaluddin Shinwari, Afghan attorney general during the Taliban's rule (1996-2001), denounced the murder. The Taliban, which claimed the assassination, "has committed an un-Islamic and anti-Afghan act," Shinwari told Salaam Times. "I condemn it." Gen. Raziq was a relentless enemy of the Taliban and had an unswerving resolve to crush the Taliban and other terrorists, said Rana Taren, a former member of the Meshrano Jirga (upper house of parliament) who resides in Kandahar. "He had great achievements in the fight against the Taliban and other terrorist groups," Taren told Salaam Times. "His death is an enormous tragedy for Afghanistan." "Kandahar, once among the most insecure provinces in the south of the country, became the one of the safest chiefly because of the efforts of Gen. Raziq -- to the point that the Taliban's activities in Kandahar nearly disappeared," she said. "Before he was appointed provincial security commander, the residents of the province were deprived of a normal life," said Taren. "Traders and businessmen could not trade or do business, etc. Raziq, however, established security and order in the province." "Gen. Raziq was among the most influential figures in southern Afghanistan," Jawed Kuhistani, a military and intelligence analyst in Kabul, told Salaam Times. "Upon his appointment as Kandahar chief of security, Raziq launched many operations to crack down on the Taliban," said Kuhistani, adding "that he was able to completely stop all their activities in Kandahar Province, which was once the epicentre of the group's power." In effect, Raziq completely suppressed... the Taliban in Kandahar," he said. The Taliban repeatedly attempted to kill Gen. Raziq because he "had deprived the Taliban of their drug trafficking in Kandahar, which used to be one of their main sources of income," said Kuhistani. "Most Taliban leaders are from Kandahar and Helmand," said Kuhistani. "Raziq, who was a patriotic general, did not allow these Taliban leaders to engage in terrorist activities in their hometown and power base." "Gen. Raziq had an absolute sense of patriotism and counter-insurgency and opposed the Taliban and their supporters," Gen. Gharzai Khwakhuzhi, a former deputy chief of the Directorate of National Security, told Salaam Times. "He stood in the way of the Taliban's activities in southern regions of Afghanistan. That's why he was the subject of 29 assassination attempts and was once injured in a suicide attack, the scars of which were visible on his right hand until the day he died." 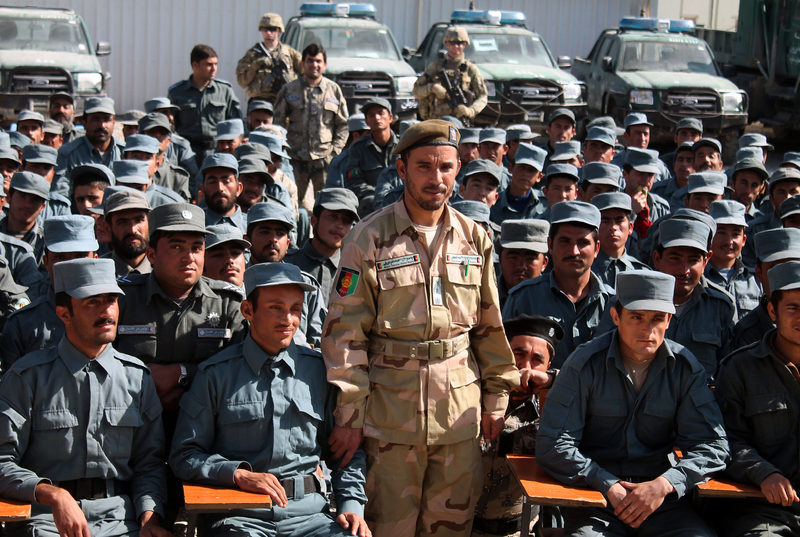 "Raziq had a character that appealed to everyone in Afghanistan," said Khwakhuzhi. "Following his martyrdom, Facebook users from all tribes of Afghanistan -- including Hazaras, Tajiks and Uzbeks -- posted Raziq's pictures on their Facebook pages to remember him as a hero." The security situation in Kandahar was wretched when Raziq took over as provincial security commander in 2011. Since the war began in 2001, almost 300 tribal elders, political figures and intellectuals had been assassinated by terrorists, and many Kandahar residents had fled their homes, according to Khwakhuzhi. "With Raziq in charge, however, almost all areas of Kandahar became secure, the Taliban's activities stopped and the province witnessed stability, security, development, reconstruction and economic growth, etc.," Khwakhuzhi added. "In addition to providing Kandahar with the required security, Raziq played a role in securing and fighting terrorism in southern provinces like Helmand, Zabul and Uruzgan," Khwakhuzhi said. "I remember when Helmand and Zabul provinces were on the verge of collapse," he said. "By carrying out several military operations, Raziq was the one who saved these provinces from falling to the hands of the Taliban." After Raziq's death, his brother Taadin Khan was appointed acting police chief of Kandahar on October 22, and he vowed to continue Raziq's legacy.